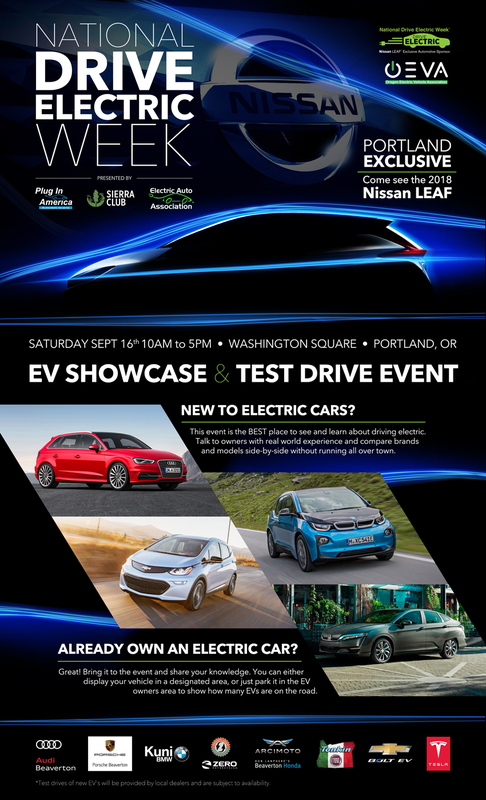 Portland was in the "second wave" of events with the 2018 LEAF. EV owners were mostly undeterred by the heavy smoke and ash from distant forest fires, and it served to underscore one of the main benefits of driving electric - clean air! We had over 20 different models represented among the 100+ EV's that attended and over 2 million "Electric Miles" from those that displayed signs. The event was in Tesla's backyard (they have a store in the shopping center) and the local owners group turned out in force. The Tesla store brought out a few cars to provide "Ludicrous" rides to attendees, a gorgeous Roadster stopped in, and we had three examples of Model X's with travel trailers. The friendly staff at the Nissan booth estimated that they had 400 to 500 people visit, and over 100 signed up for later test drive events. The display was entirely powered by the OSU Solar Trailer. Everything from the T-shirt press printing custom shirts, to the TV and the tablets visitors used to sign up for more information. The trailer has a 25 kWh battery pack, an 1800 watt tracking solar array and a built in L2 EVSE (we used it top off some test drive vehicles). Hugely popular was the free SubZero ice cream - frozen to order with liquid nitrogen. Thanks Nissan! Many folks also got their first look at the Chrysler Pacifica Hybrid and Honda Clarity Electric. Other notable dealer displays (some with test drives) were the Audi A3 e-tron, BMW i3 & iPerformance plug-ins, Chevy Bolt & Volt, Fiat 500e, Porsche Cayenne PHEV, and Toyota Prius Prime. Representing the less than 4 wheel class were Zero motorcycles and the upcoming Arcimoto SRK (test drives were very popular). 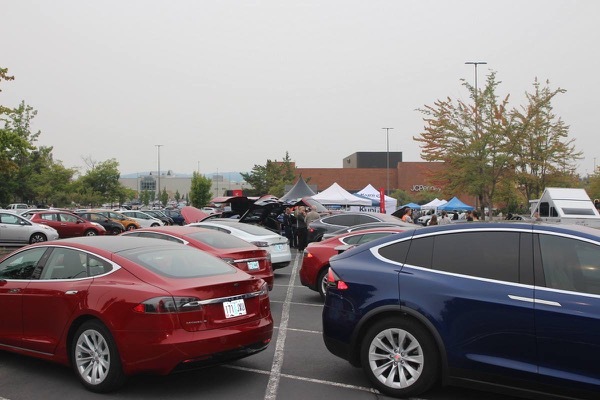 We had vehicles and a display inside the Mall for the duration of NDEW, and volunteers from the OEVA were able to hang out when they had time to chat with people about EV's and promote the event. Hats off to all the volunteers and owners that contributed their time and energy to make this (and all) NDEW events possible! Current LEAF owners will be offered an exclusive chance to sign up for the "The All New LEAF Drive and Discover Experience," providing a behind-the-wheel opportunity to experience the next-generation LEAF just weeks after it is unveiled. To sign up, owners must present the key fob to their current LEAF and register for the test drive while visiting the display. The first test-drives will begin in October. *Note: The 2018 LEAF will not be available to test drive, many other models will be available. 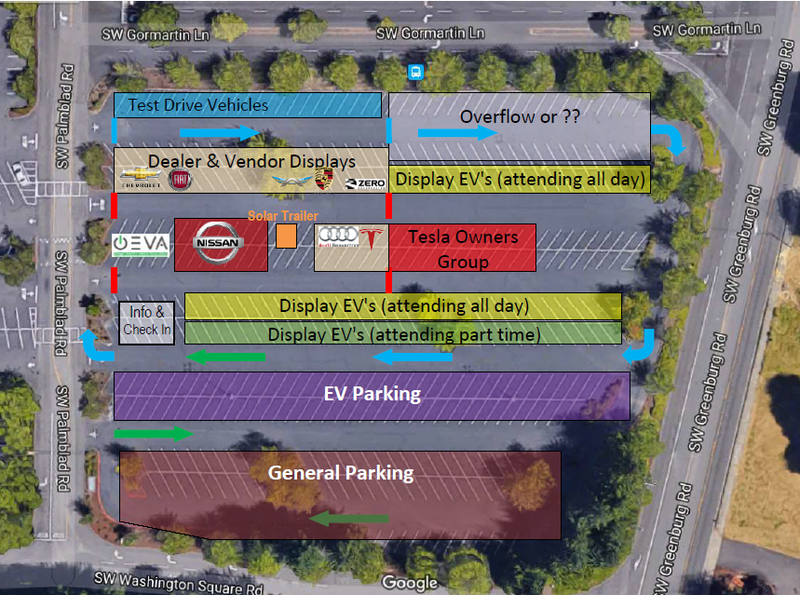 * Electric vehicle TEST DRIVES will be available for certain makes/models. Please visit a display booth at the event to find out more. There are currently 248 attendees registered. 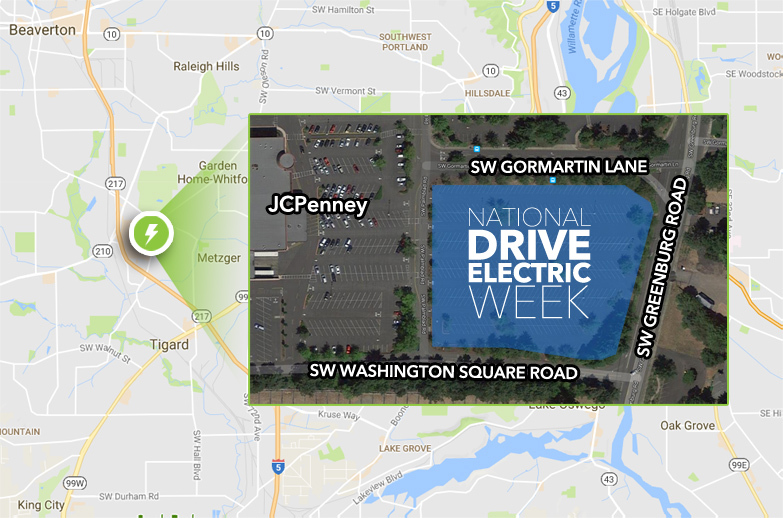 Registered attendees report 1,381,659 electric miles driven.